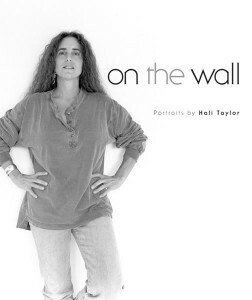 “On the Wall,” a new book by Hali Taylor, features more than 100 portraits of people from the Shepherdstown community. Preferring natural light, Taylor takes many of her portraits before a white-sheeted backdrop in front of the Shepherdstown Library. Her random, early-afternoon photo sessions often draw crowds of the curious. “My portraits span 25 years and are of the people who make up the strands of the web of the Shepherdstown community; each one constitutes a unique addition to the mix,” Taylor wrote in her artist’s statement in “On the Wall.” It is a joint publishing venture of Taylor’s and Shepherdstown SQ250, the committee organizing next year’s 250th anniversary celebration of the town. A thousand copies have been printed. They can be bought at Four Seasons Books It sells for $41.50.